Shine like the sun with these solid 14k gold sun swirl stud wire earrings. These solid gold studs measure about 7mm wide or a little more than 1/4 inch wide. 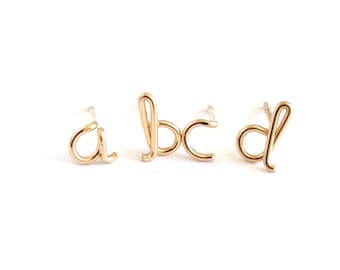 These classic post style gold studs are made from 1 piece of solid yellow 14 karat gold wire, hand hammered for shine and strength and are safe for babies and anyone with sensitive ears. The entire earring, including posts and ear backs are all solid 14k gold. These are also available in my shop in sterling silver as well as 14 karat gold filled. Check out my other listings for those options. Your earrings will arrive neatly gift wrapped. Questions? Message me. Gold sun swirl pendant. Gold spiral necklace pendant. 14k Gold Round Swirl Hammered Pendant. xo earrings in 14k Solid Gold. Gold x o stud earrings. 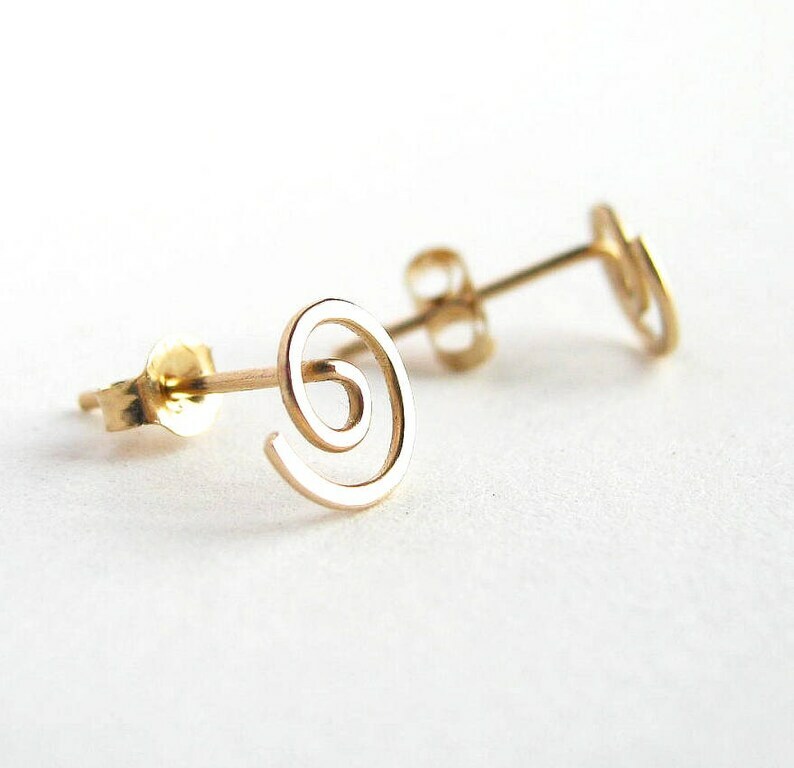 Small Yellow Gold Post Earrings. 14k gold small studs. Girl gift stud cute earrings. Rose Gold Spiral Pendant. Rose Gold spiral sun swirl necklace pendant.